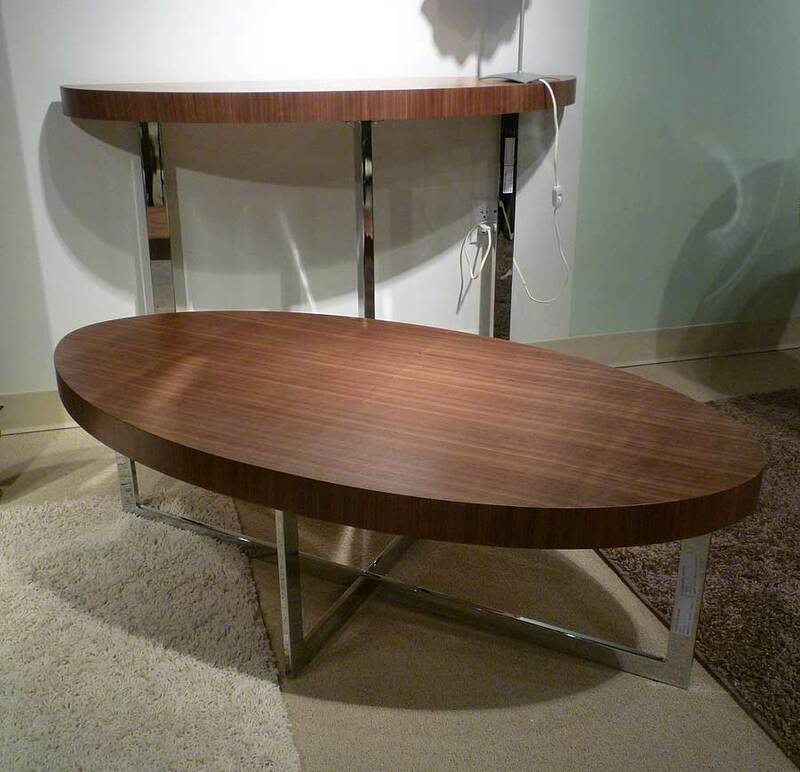 Walnut, Wenge or White Lacquer. 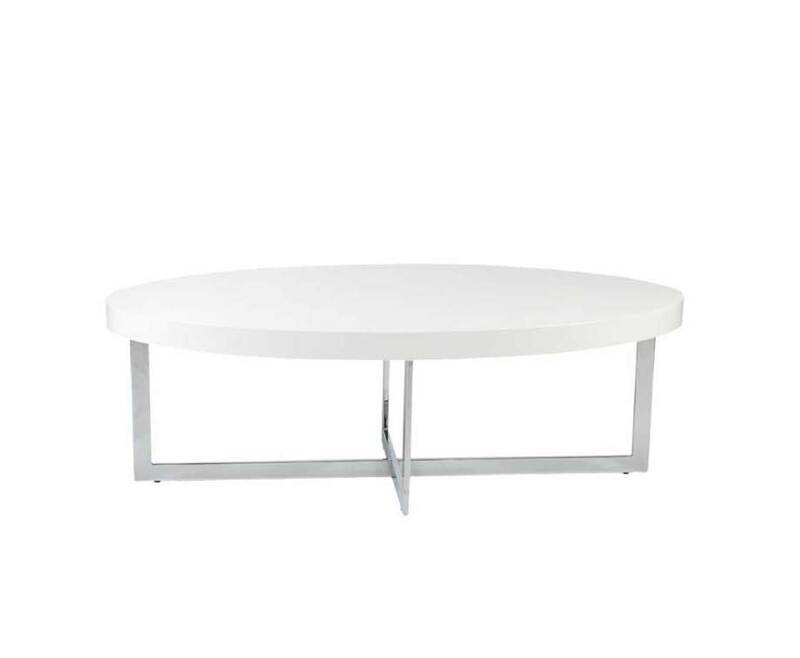 Olivia Oval Coffee Table has a union of design style. 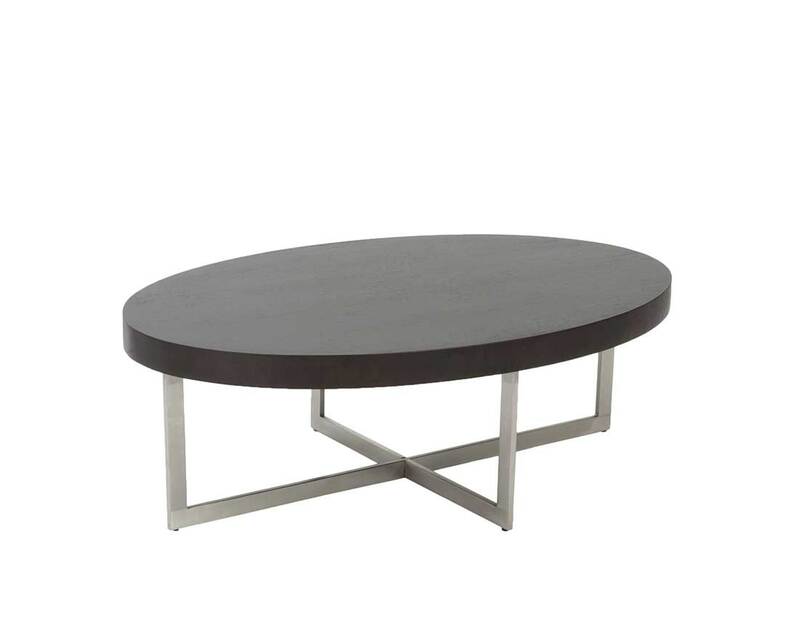 Oval top and an angular X-shaped base give this contemporary coffee table an urban inspired look that will be a modern addition to your home's decor. 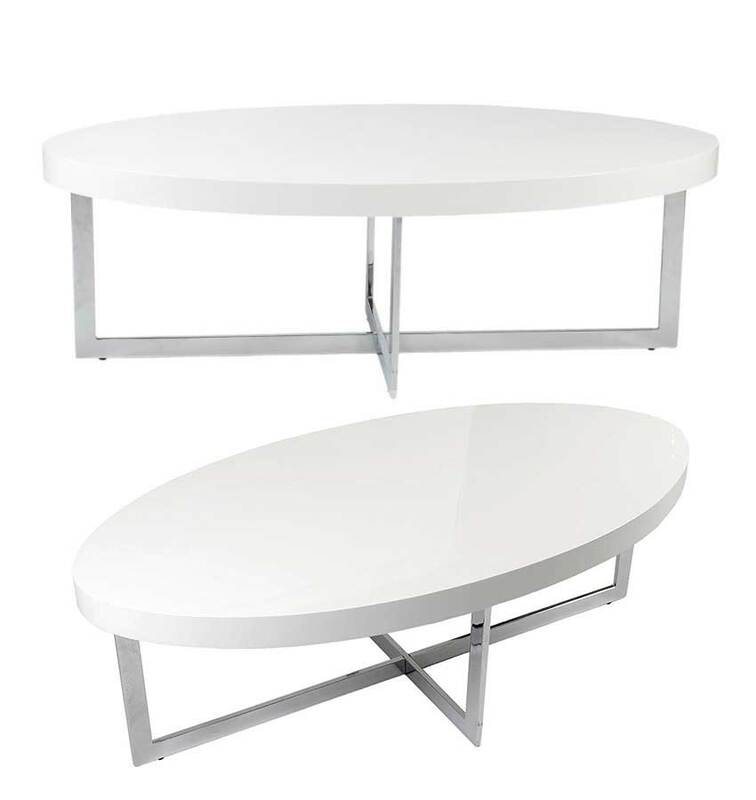 This modern coffee table features an X-shaped chromed steel base and walnut thick wood or high gloss white top. 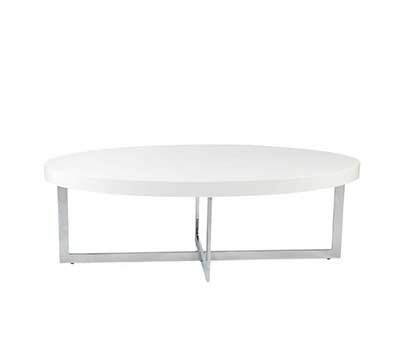 Simple and unique make this coffee table suitable for any entertaining place. 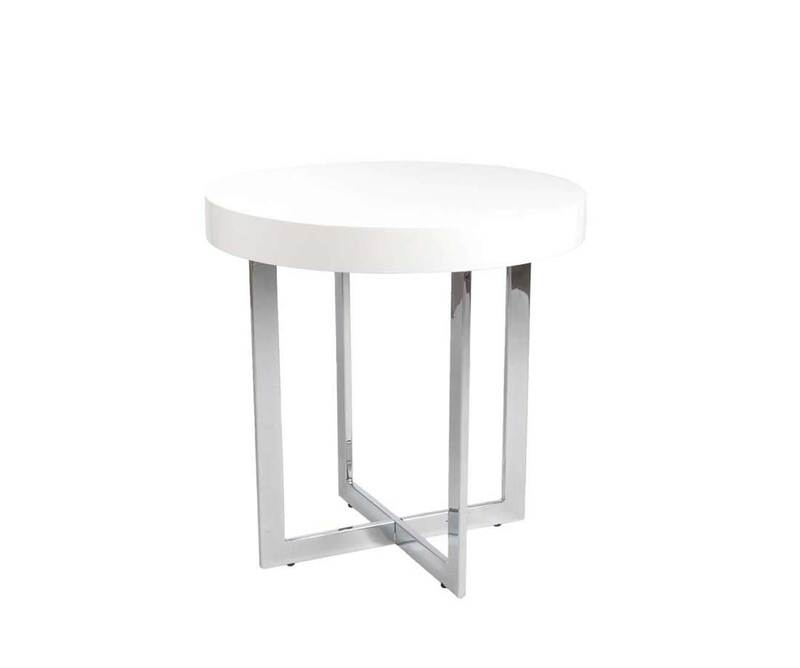 Starting Price is for Coffee table only.